Many of those Africans came from cultures where the mother tongue was a tonal language. That is, ideas were conveyed as much by the inflection of a word as by the word itself. Melody, as we typically think of it, took a secondary role and rhythm assumed major importance. For the enslaved Africans, music – rhythm in particular – helped forge a common musical consciousness. In the understanding that organized sound could be an effective tool for communication, they created a world of sound and rhythm to chant, sing and shout about their conditions. Music was not a singular act, but permeated every aspect of daily life. In time, versions of these rhythms were attached to work songs, field hollers and street cries, many of which were accompanied by dance. The creators of these forms drew from an African cultural inventory that favored communal participation and call and response singing wherein a leader presented a musical call that was answered by a group response. As my research confirms, eventually, the melding of African rhythmic ideas with Western musical ideas laid the foundation for a genre of African-American music, in particular spirituals and, later, gospel songs. 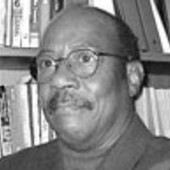 John Gibb St. Clair Drake, the noted black anthropologist, points out that during the years of slavery, Christianity in the U.S. introduced many contradictions that were contrary to the religious beliefs of Africans. For most Africans the concepts of sin, guilt and the afterlife, were new. In Africa, when one sinned, it was a mere annoyance. Often, an animal sacrifice would allow for the sin to be forgiven. In the New Testament, however, Jesus dismissed sacrifice for the absolution of sin. The Christian tenet of sin guided personal behavior. This was primarily the case in northern white churches in the U.S. where the belief was that all people should be treated equally. In the South many believed that slavery was justified in the Bible. This doctrine of sin, which called for equality, became central to the preaching of the Baptist and Methodist churches. In 1787, reacting to racial slights at St. George Methodist Episcopal Church in Philadelphia, two clergymen, Absalom Jones and Richard Allen, followed by a number of blacks left and formed the African Methodist Episcopal Church. The new church provided an important home for the spiritual, a body of songs created over two centuries by enslaved Africans. Richard Allen published a hymnal in 1801 entitled “A Collection of Spirituals, Songs and Hymns,” some of which he wrote himself. His spirituals were infused with an African approach to music-making, including communal participation and a rhythmic approach to music-making with Christian hymns and doctrines. Stories found in the Old Testament were a source for their lyrics. They focused on heaven as the ultimate escape. After emancipation in 1863, as African-Americans moved throughout the United States, they carried – and modified – their cultural habits and ideas of religion and songs with them to northern regions. Later chroniclers of spirituals, like George White, a professor of music at Fisk University, began to codify and share them with audiences who, until then, knew very little about them. On Oct. 6, 1871, White and the Fisk Jubilee Singers launched a fundraising tour for the university that marked the formal emergence of the African-American spiritual into the broader American culture and not restricted to African-American churches. Their songs became a form of cultural preservation that reflected the changes in the religious and performance practices that would appear in gospel songs in the 1930s. For example, White modified the way the music was performed, using harmonies he constructed, for example, to make sure it would be accepted by those from whom he expected to raise money, primarily from whites who attended their performances. Gospel songs – while maintaining certain aspects of the spirituals such as hope and affirmation – also reflected and affirmed a personal relationship with Jesus, as the titles “The Lord Jesus Is My All and All,” “I’m Going to Bury Myself in Jesus’ Arms” and “It Will Be Alright” suggest. The rise of gospel song was also tied to the second major African-American migration that occurred at turn of the 20th century, when many moved to northern urban areas. By the 1930s, the African-American community was experiencing changes in religious consciousness. New geographies, new realities and new expectations became the standard of both those with long-standing residence in the North and the recently arrived. For the former, there was little desire to retain what some called “corn-shucking” songs, songs associated with plantation life. New arrivals, however still welcomed the jubilant fervor and emotionalism of camp meetings and revivals that included, among other things, the ring shout, a form of singing that in its original form included singing while moving in a counterclockwise circle often to a stick-beating rhythm. Dorsey was also one of the founders of the first gospel chorus in Chicago, and, with associates, chartered the National Convention of Gospel Choirs and Choruses, the precursor to gospel groups in today’s black churches. In the ‘30s black gospel churches in the North originally, began using the Hammond organ, which had been newly invented, in services. This trend quickly spread to St. Louis, Detroit, Philadelphia and beyond. The Hammond was introduced in 1935 as a cheaper version of the pipe organ. A musician could now play melodies and harmonies but had the added feature of using his feet to play the bass as well. This enhanced the players’ ability to control melody, harmony and rhythm through one source. The Hammond became an indispensable companion to the sermon and the musical foundation of the shout and praise breaks. Solo pieces within the service imitated the rhythms of traditional hymns in blues-infused styles that created a musical sermon, a practice still common in gospel performances. Cory Henry, American jazz organist and pianist, gospel musician, and music producer, paying a tribute. Gospel’s journey continues today producing musicians of extraordinary dedication who continue to carry the word. This entry was posted in Africa, African-American, History, Music, Religion. Bookmark the permalink.